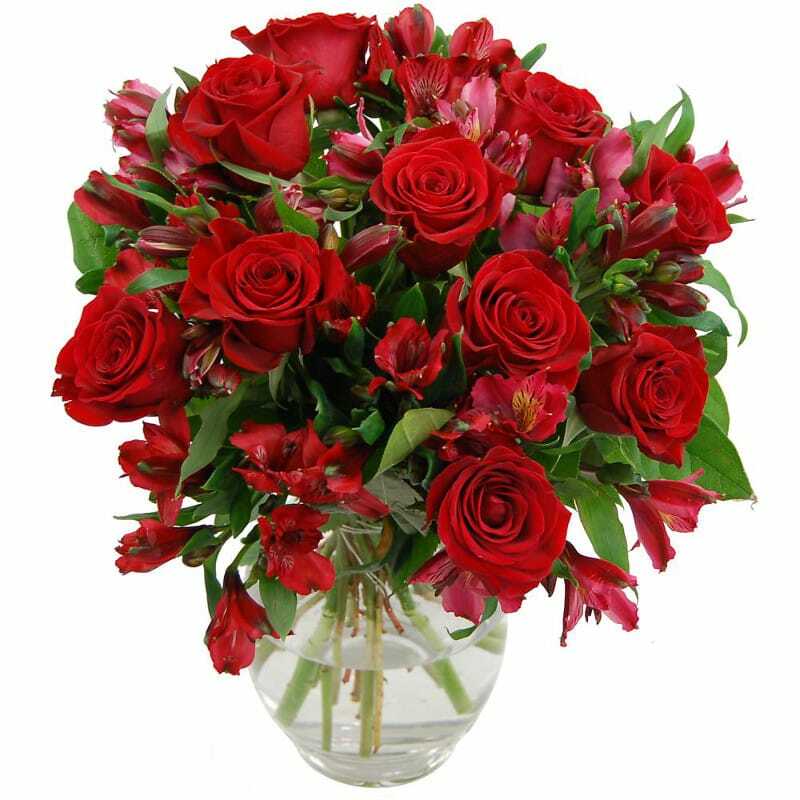 If it's one of those occasions when nothing but the best will do, then you can be confident that the Red Rosmeria from Clare Florist is exactly what you need. Look at the poise, the classy sophistication of this bouquet - ideal for a romantic gift, or to congratulate a friend on a new job, home, or the birth of a child. This rich, vibrant bouquet has been put together using the finest red roses and alstroemeria, giving it its portmanteau name - Rosmeria. This splendid bouquet of red roses and alstroemeria is certain to create an alluring visual spectacle wherever it goes. Created using only the fines grade premium flowers, the Red Rosmeria bouquet is sure to impress anyone lucky enough to receive it as a gift. You can make your Red Rosmeria delivery even more special by including some of our great optional extras. Why not include a cuddly teddy bear to make your chosen recipient say 'awwww'? Or a handwritten card so that you can put the exact thoughtful message with your flowers? You could even write a poem! We offer free next day delivery, and we deliver to ANY location in the UK, with a 100% Guarantee that your flowers will turn up looking just wonderful. And if you just can't get enough of this winning combination, look at the other fabulous bouquets in our Rosmeria range! We've got Rosemeria Peach, Rosmeria White and Cerise Rosmeria bouquets to choose from, all featuring gorgeous rose and alstroemeria arrangements.